We are fortunate to not only have a beautiful herd of horses but also a group of other amazing animals that adds to everyone's experience at Soulful Prairies. I believe all living creatures can teach us if we just slow down and listen. We were lucky enough to bring Cooper into our family in 2015 when he was eleven years old. 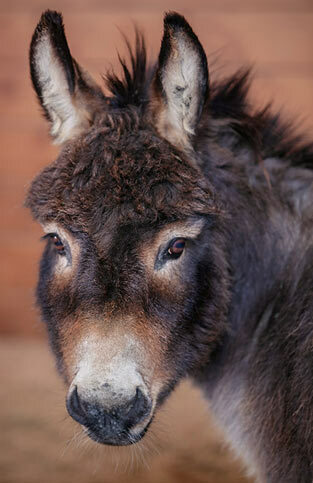 Cooper had served as a stud micro mini donkey. He was ready to retire from that career, and we were able to bring him on board at Soulful Prairies. His shy stand-offish personality is really a front. Despite his stoic presence, he loves attention and to have his long ears stroked. 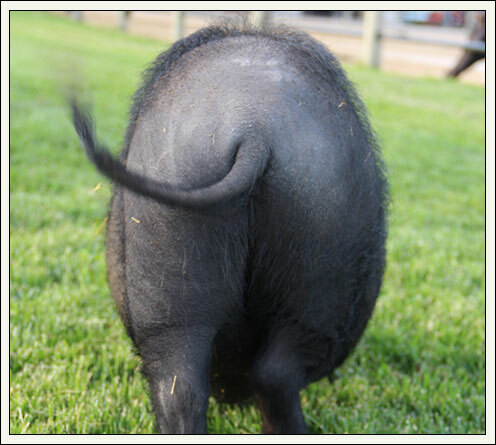 Cooper was our farm mascot his first summer, running all around the property, but he ended up with a very roly-poly belly so he has since found a good buddy in Neville, our mini horse, and they share a stall where his food intake can be monitored. Oh my! These two goats are full of life! We bought Hank and Crosby at the tender age of three months, in 2016. They are mini Nubian goats. 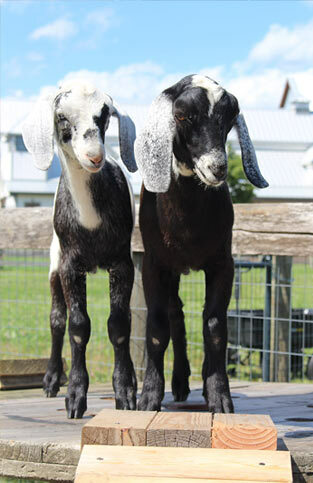 I had always wanted a goat with big floppy ears and when these two siblings became available we were so excited. On our return from picking them up, we put them in a cage, but about fifteen minutes into the ride they were lose in the back seat on my daughters lap. Hank and Crosby have brought an enormous amount of joy to our farm. They are the greeters to all who come to Soulful Prairies and life just wouldn't be the same without them. I always say I'm going to be reincarnated as a goat. They do whatever they want, they have a great sense of humor, and they could care less what anyone thinks of them. 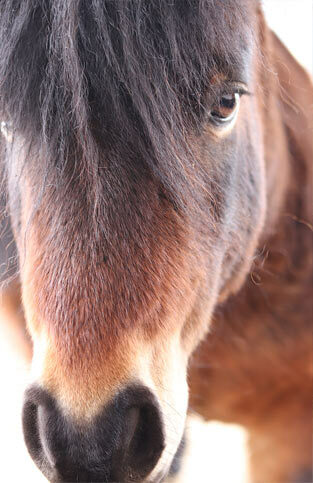 In 2016 Neville, a mini horse, came to Soulful Prairies from The Hooved Animal Humane Society in Woodstock. We believe he ran amuck with a little band of minis for many years with very little handling, so he continues to be uneasy around people. Neville draws confidence from his partner in crime, Cooper. I believe his gift is in teaching patience and consistency. Despite his edginess he has a very kind soul that offers a gentle energy from a distance. We bought six baby chicks in the spring of 2015. There was quite the learning curve in keeping them safe from predators, cleaning sh*t, and catching the stragglers that decided to hide out. We've come a long way since 2015. We lost three of our original group and bought six more baby chicks in the spring of 2017. The life expectancy and years that chickens lay eggs have determined our schedule. These guys have not only gifted us with amazing, healthy, tasty eggs but they have also taught me that every living thing has value and importance. 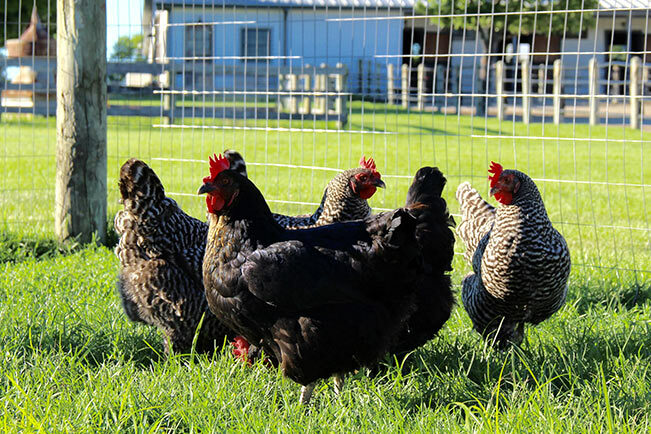 Our chickens enjoy being held and loved and have given many visitors the opportunity to connect with an animal they may have otherwise seen as livestock. Who knew connection could be learned from one of our fine feathered friends. This guy puts a smile on my face every time I see him. Tucker came to Soulful Prairies in 2016 when he was about a year old. He has little pig syndrome and keeps everyone in line at the farm. Make no mistake he is the king among all the critters. He can even keep a sassy horse in line. There is nothing sweeter than the site of a pig chilling out in a puddle of mud. 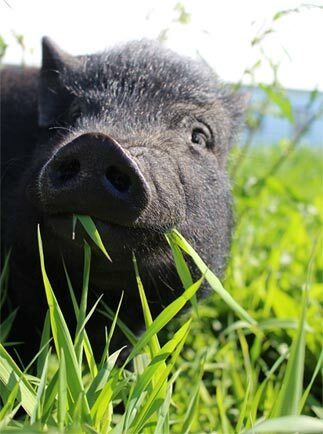 Come on out to the farm to give him a belly rub and you too will experience that inner grin that lasts for days. Emma became part of our family in 2010. She was the sweetest puppy and brought with her a breeze of happiness that was desperately needed after a year filled with much loss. Emma keeps everyone in line and a watchful eye out for her human family always. Her sense of humor keeps us all guessing. 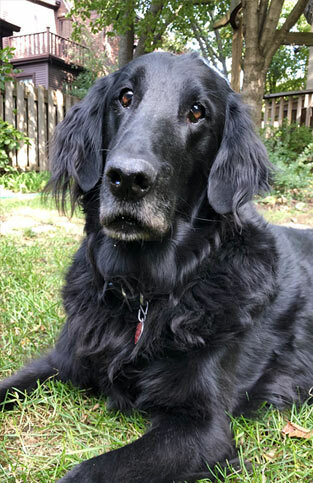 Jozie is our flat coat retriever and was born in 2009. She came into our family when our English Mastiff, Elliot, was still on this planet. Elliot had a heart of gold and Jozie was lucky enough to learn from the best and also has a huge heart. 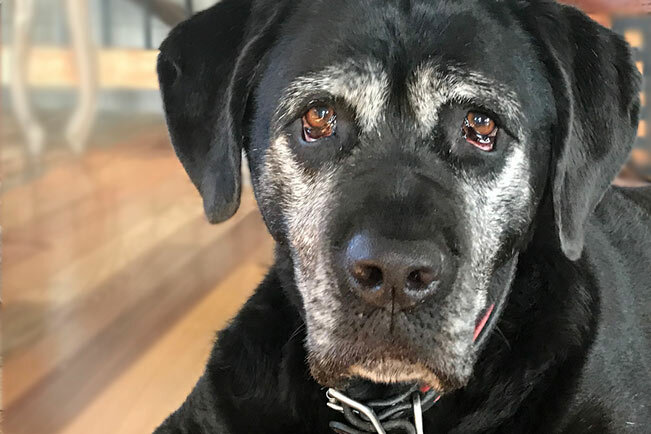 Jozie is the member of the family who would endure anything for the good of those around her. "Linda is the most amazing person! Beautiful inside and out. So giving of her time and sharing her property. If I were an animal I would want to live there!! !